The bicycle made for three! 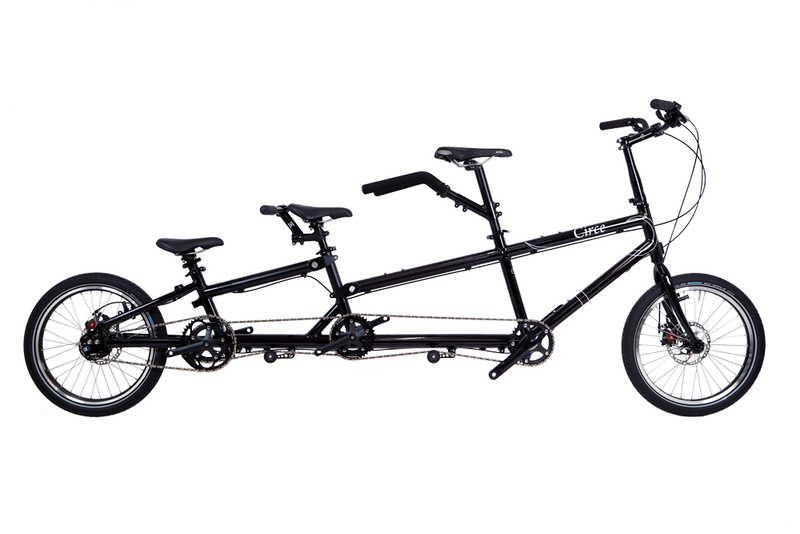 The Helios has become a very popular solution for riding with children, in particular, for the school run and family leisure rides, but to answer the growing family’s needs, we’ve developed the Circe Helios Triplet. Conceived as part of the Helios modular system, the Helios Triplet, with its built in separability, can be bought as a standalone bicycle or retro-fitted to an already purchased Helios tandem. 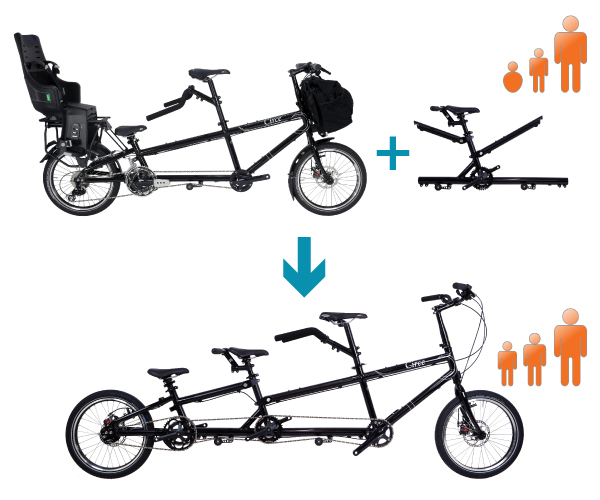 And yes, the modular design means that the triplet can be separated for easier transportation or converted back into a standard separable Helios tandem!